American Trash, TV Shoot, Pinnacle Winery & Mayfair Allentown PA! WOW! I have been SO busy that I haven’t had time to send out any new letters and blogs! Besides working on my upcoming CD UNLEASHED I’ve been busy traveling around doing shows up and down the east coast and I’ve been in the studio producing emerging blues-rock-roots-Americana artist Billy J of which I hope you will be hearing more about. This week is chock full of Dave Fields shows starting with tonight at AMERICAN TRASH 77th and 1st Ave NY NY where I will be the special guest with Ross Daisomont and Radio Flyer. Bring your axe! Thursday will be the 2nd installment of the shoot for Jerry Lobozzo and mine’s sizzle reel for our TV show concept at THE LOFT at Riverside Manor 27 E 33rd St Paterson NJ (entrance in the back near the Morlot Ave Bridge). Last week was expolsive with SO many amazing guests! Saturday will be a double header: 1st I will be at PINNACLE RIDGE WINERY http://www.pinridge.com from 2-5pm and then at Mayfair at the Allentown Fairgrounds http://www.mayfairfestival.org from 7-8:30pm featuring Dave Hollingsworth on drums and Suavek Z on bass. Sunday I will be performing at private outdoor party for my pal Bob Jansen and then Monday I’m going to sleep all day!!!! HAHAHA! I have written two articles for the upcoming June issue for Big City Blues Magazine where I 1) interview NY blues icon Big Ed Sullivan and 2) write about my last trip to Europe. Check it out when it comes out! As I mentioned above, my CD UNLEASHED is coming along and I’m so excited to finish it and release it! You will be hearing more about it in the upcoming week so stay tuned! With June rapidly approaching the Dave Fields fun doesn’t let up! June 12th I have the great honor of opening up for MICHAEL ALLMAN at RANCHERO CANTINA 214 Kinderkamack Rd Emerson NJ for one set only at 6pm. June 16th-18th I will have as my special guest Oregon Music Hall of Famer ad blues-soul star Lloyd Jones for four east coast shows! June 11th VICTORS Hawthorne NY with Roger Z & Rudy Feinauer! Opening act for MICHAEL ALLMAN! 6pm for one set only! http://www.davefields.com/wp-content/uploads/2015/06/davefeatured.jpg 172 499 davefields http://www.davefields.com/wp-content/uploads/2018/06/davefields.jpg davefields2016-05-25 13:29:342016-05-25 13:29:34American Trash, TV Shoot, Pinnacle Winery & Mayfair Allentown PA! I’m Back! NYC show and Philly show this week! 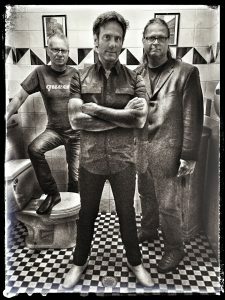 American Trash, Victors & Opening for MICHAEL ALLMAN this week!